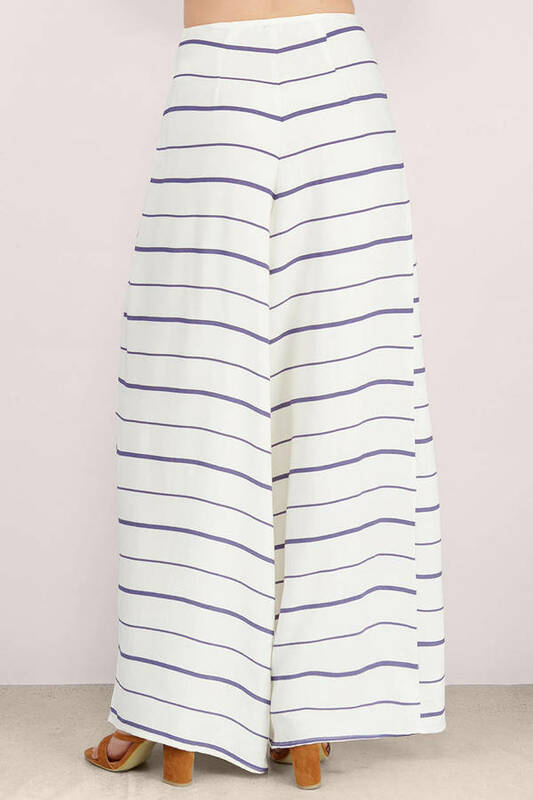 Check out Tobi's Kiely Striped Pants The Kiely Striped Pants are the perfect wide-leg pants you've been dreaming of. They're high waisted with a zipper closure, and will look amazing with anything from bodysuits to crop tops and moto jackets. 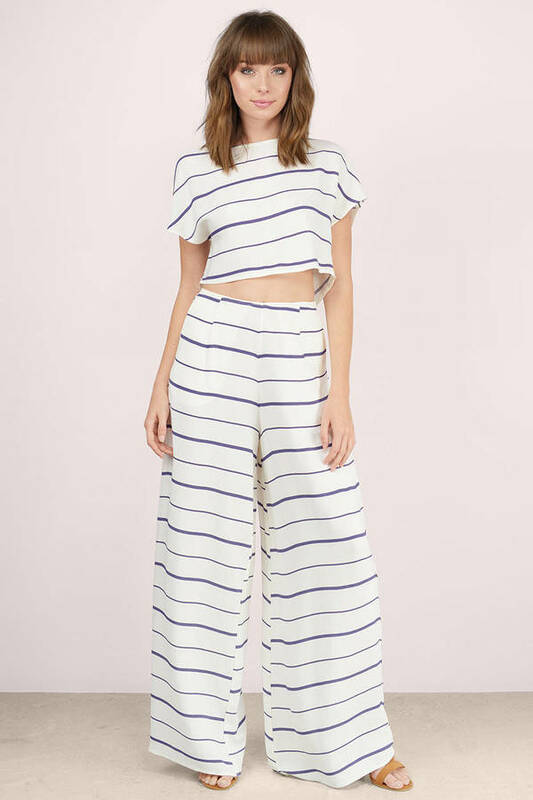 The Kiely Striped Pants are the perfect wide-leg pants you've been dreaming of. They're high waisted with a zipper closure, and will look amazing with anything from bodysuits to crop tops and moto jackets. 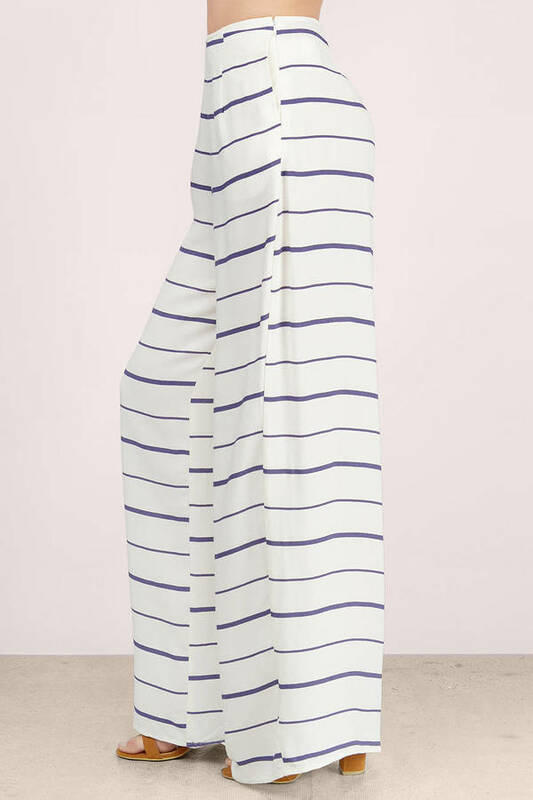 Navy & Cream modeled on a size Small.